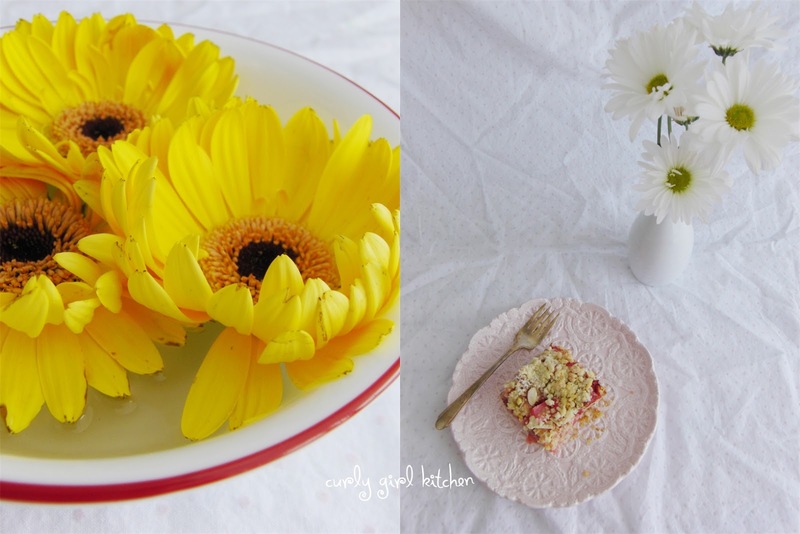 When Jamie came home last Wednesday after picking up some fish for our dinner that evening, his arms were full of other things I love - bright red strawberries, a bundle of the season's first rhubarb, and yellow and white daisies for me. I had been talking about wanting to bake with rhubarb and strawberries soon, and he was listening. As well as hopeful, I'm sure, that I would bake something for him that weekend. I've been thinking about making and canning jam again, something I've done every summer for the past couple of years, and this year I think I will have to try a strawberry rhubarb jam. But not quite yet. I'll wait until the berries are at their sweetest and best before preserving them. We ate strawberries for the next few days, whole or sliced on top of ice cream, as I thought about what I might make with the rest of the fruit. 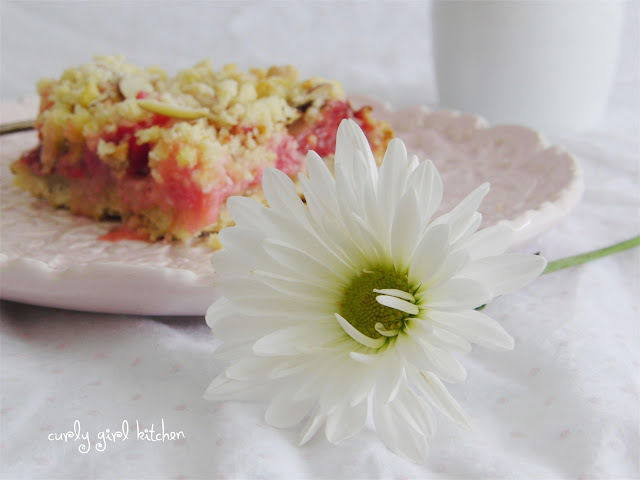 I decided on a sweet tart crumb bar, with juicy strawberries and rhubarb baked on top of an almond shortbread crust and sprinkled with crumb topping. 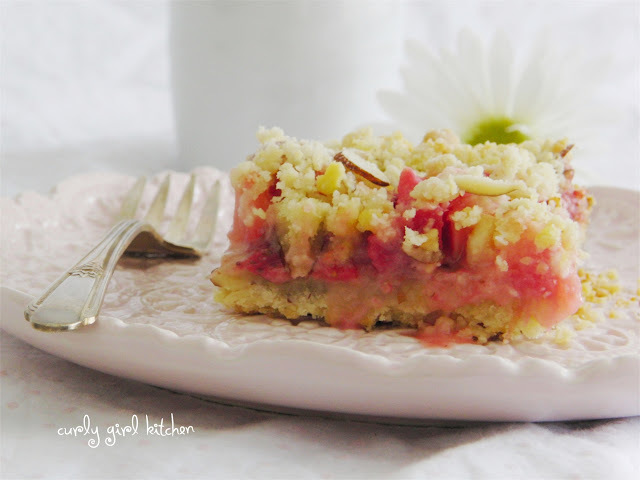 The crumb bars smelled so fantastic as they baked, their warm, sweet almond scent filling the house. 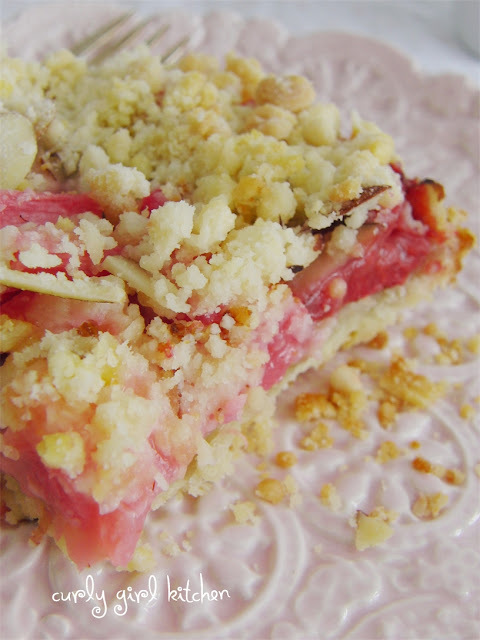 I vaguely remember tasting rhubarb in high school - a friend's relative had baked a rhubarb sheet cake of some kind, and pieces of the pink rhubarb had sunken into the top of the cake batter, creating a very moist and very tart cake. I don't really remember if I liked it at the time - it was definitely a new flavor to me. 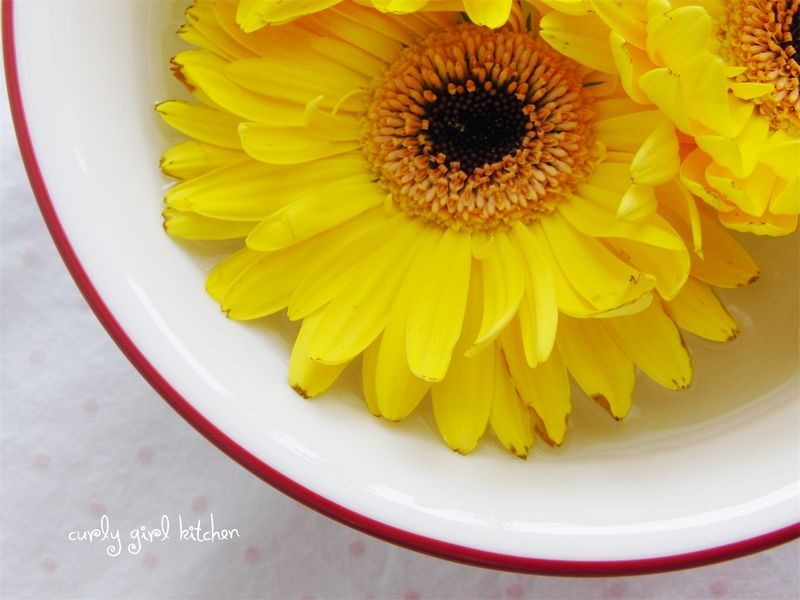 But it wasn't until just a couple years ago, when I began baking and cooking with it myself, that I began to love it. Jamie's parents grow rhubarb in their garden, the long stalks hidden under the huge leaves of the plant. His dad likes to cut off pieces of rhubarb and eat them raw, dipped in a little sugar. 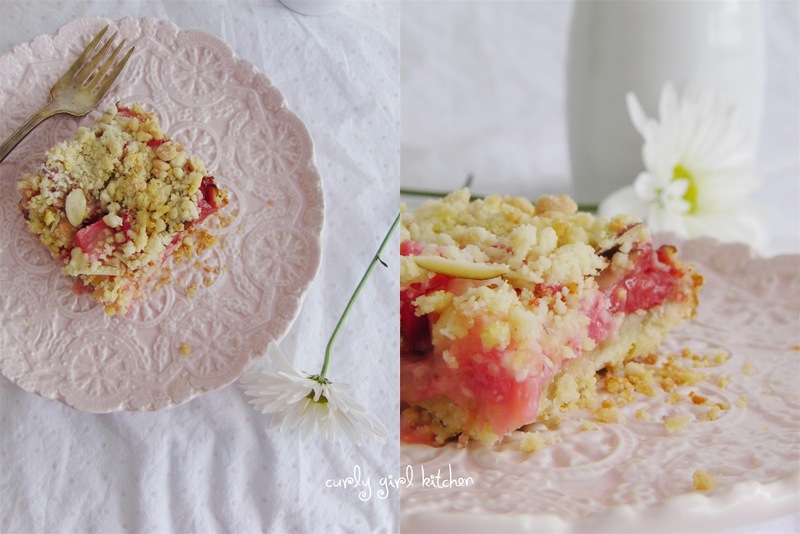 It's interesting to me that although rhubarb is considered a vegetable, it's treated as a fruit in baking, and I love the way its tartness balances the sweetness of baked treats. Note: If cutting the recipe in half, use just the egg yolk instead of a whole egg, and bake in a square 8x8 baking dish. Preheat the oven to 350. Spray a 9x13 pan with non-stick spray. In your food processor (or in a large bowl, using a pastry cutter) blend the flour, salt, butter, almond paste and egg until moist and crumbly, and pea-sized pieces of butter remain. Stir in the sliced almonds. Reserve 2 cups of the mixture for the topping. Press the rest of the dough mixture firmly against the bottom of the pan. Bake for 15 minutes. Meanwhile, in a large bowl toss the strawberries, rhubarb, sugar, corn starch and vanilla and set aside to let macerate. After the crust has baked for 15 minutes, spread the fruit over the hot crust. 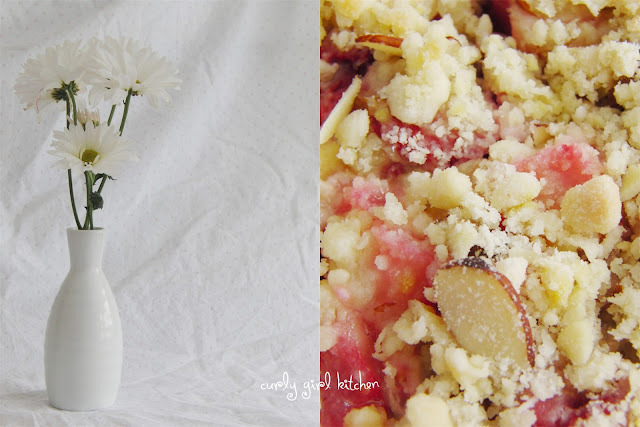 Sprinkle the fruit with the remaining 2 cups of dough crumbs. Bake for 35-40 minutes, until the topping is golden brown and the fruit begins to bubble around the edges. Cool completely at room temperature before cutting into bars. 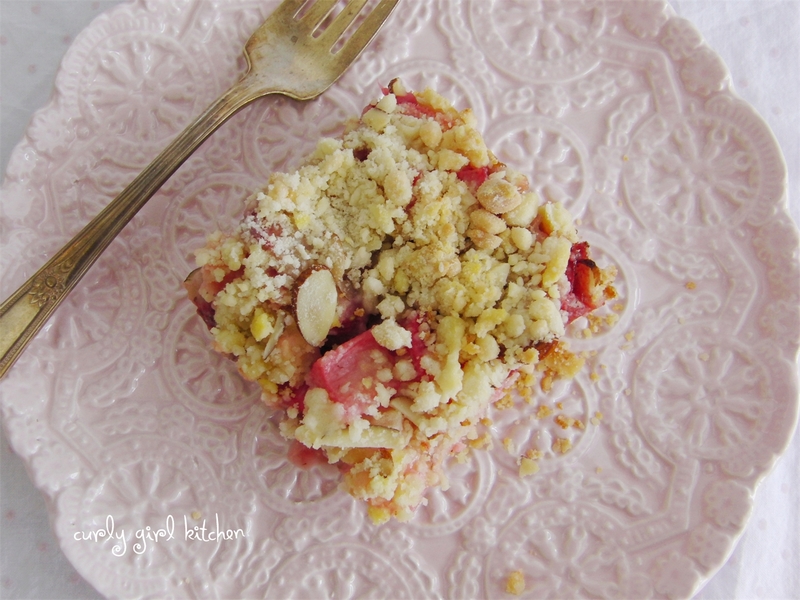 I love fruit crumb bars, these look so delicious and perfect for spring! Oh, Heather......These bars look absolutely wonderful!!! 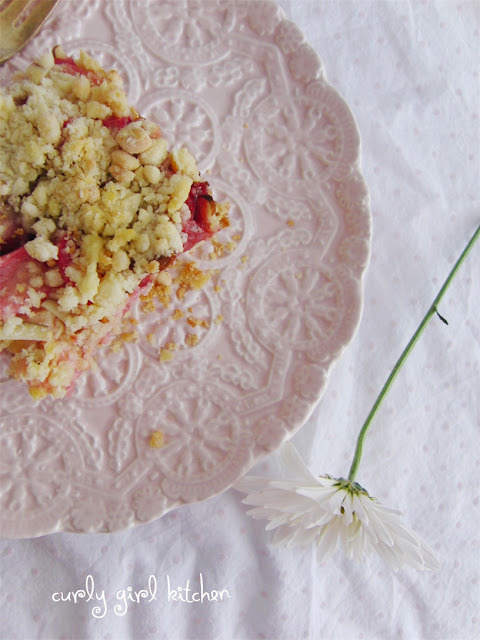 Glenn & I are huge fans of the strawberry/rhubarb combo in jams & desserts. I can't wait to try these! So is Jamie! He's always asking me to bake with rhubarb in the summer.